How often do you rearrange furniture? What are three words to describe your organization style? What is God prompting you to move in or out of your life right now? Receive It. God gives us everything we need to experience the joy he intends for us, but we must be willing to rearrange our lives for him. When we prepare to host a slumber party or lots of company, we often rearrange furniture. We move aside the couch and chairs to maximize floor space for sleeping bags or video games. We set up folding or picnic tables to accommodate extra people. We rearrange the food in the refrigerator to store the additional goodies we’ve prepared or others are bringing. In our daily lives, we need to move aside some things in preparation for what’s coming. We need to prepare. God isn’t silent about the preparation he intends for us to make. The issue isn’t lack of instruction—even though we often make that rationalization—but lack of attention and trust. We want to know the “why” of what we’re doing when God is giving us clear instruction of the “what.” He wants us to be obedient. He doesn’t need us to be all-knowing; he has that role covered. When we’re focused on the “why” instead of the “what,” we’re not focused on the right insight, so we think we’re missing out. Because our eyes aren’t honed on the proper focus, we think God isn’t giving us what we want, let alone what we need. We’re mistaken. God never leaves us uninstructed. We might not understand why God is telling us to rid our lives of something, plant seeds of something new in our lives, or reprioritize responsibilities and relationships, but we don’t have to know the “why.” God wants us to respond in obedience. And really, isn’t trusting God by responding in obedience enough of a “why”? Live It. Get rid of something today. Give it away. Move something today. Get out of your comfort zone. Plant a seed today. Meet someone new. Invest in a relationship. Apply for a new job. Explore an unfamiliar area of Scripture. Set aside your plans for God’s. What can you do to help others grow, no matter where they are? We need each other. God makes connecting with others prominent throughout Scripture. He created us to be different, and sometimes those differences cause conflict, confusion, and frustration, yet He also uses those differences to sharpen and nourish us. We don’t understand others. We don’t struggle with the same things. We don’t approach opportunities and problems in the same ways. We aren’t motivated by the same things. Yet we need each other. No matter what the situation, you can intentionally invest in people, not with your own standards and priorities but by God’s. He knows what other people need, and He knows what we need through the process, too. He knows when we need to give space, confront, apologize, forgive, be patient, be bold, and be still. In all things, we need to be humble. Even if we are right, we must be humble in God’s authority, letting Him guide, because He will surprise us. He will challenge us. He will grow us. And He will bless us. He is intentionally investing in you. You can trust Him. Pass it on. It seems that the “complete rest for the land” is just that–for the land. And it is for the land, but it is also for the people. God knows how to provide for His creation, including people, animals, and land. By resting the land, it replenishes the nutrients it needs. During that time, some food still grows because of seeds and fruit-bearing trees, so it continues to feed people and animals. The rest is actually nourishment. That seems odd to us because we think nourishment can only happen with productivity. We feel we must do something to be successful and produce something. Otherwise, we’ll fall behind. Productivity will lessen, provision will decrease, and we’ll end up digging ourselves into a hole of debt and need. But that’s not the way God says it works. Sabbath, whether it is our weekly rest or a seventh-year rest of the land, is productive. 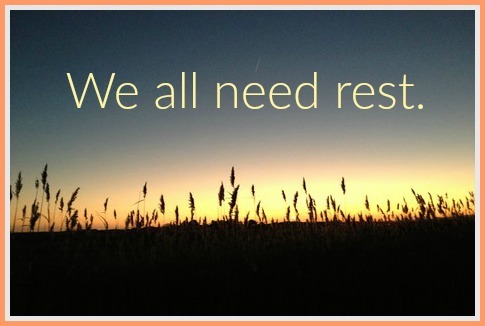 Rest produces something labor and striving cannot. Rest grows and nourishes us in ways work cannot. I don’t know many places where a Sabbath rest of the land occurs regularly. In the U.S., we have “set aside” acreage that doesn’t get farmed during certain years, but the most common motivation for setting aside this land is the government check that comes to compensate for the “loss” incurred. But setting something aside was never intended to be considered a loss. The first time I visited Israel, the land was flourishing. It was gorgeously lush, producing so many crops of fruits and vegetables. When I visited again, the land was pretty but it wasn’t as green and productive. I learned it was the Sabbath year. While not every landowner take the Sabbath seriously, many do. It was evident as I drove by the fields. What keeps you from rest? Are your reasons for not resting good ones? Would God agree? Why don’t you ask Him? He’s already given you instruction, which is always purposeful. Why not listen and follow? There’s only so much of your past God will allow you to take into your future. Knowing what we take into our future is limited is comforting…until we consider we might not get to take the things we want. We don’t like not having control. But the truth is, if left up to us, we’ll take stuff God never intended us to carry and things that will get in our way and we’ll fail to take some of the stuff that we’ll actually need. We simply don’t have the perspective to know what God will use and how He’ll use it. We don’t have the perspective to know what we need to hang onto, at least for a season, and what we need to leave behind. It’s not just the stuff of the past, present, or future; it’s our thought process that surrounds it all. It’s how much we let it consume us or how much we choose not to focus on and learn from something. It’s choosing our own way instead of God’s. Let God do your packing and unpacking. He knows the trip ahead of you. We sometimes get into a service rut. For some, serving in the same way for a long time isn’t a rut at all; when our passion, giftedness, and opportunity collide, we might find a sweet spot to remain in for quite a long time. 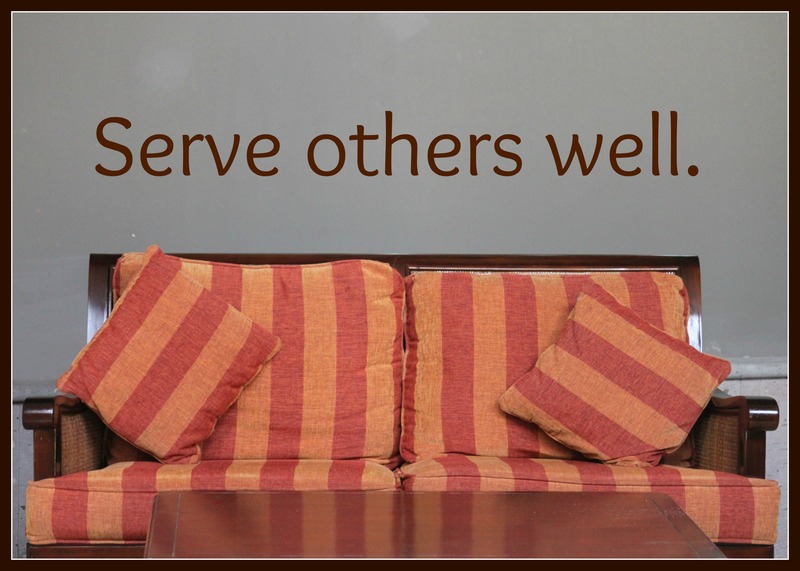 Others want to explore ways to serve but might not see the opportunities right in front of them. Perhaps one of the following ideas will light a spark that gets you started in a fresh direction. Put together foster care packages. Children in foster care don’t have a lot of things they carry from place to place. Put together age-appropriate bags to ease their transitions. Also, consider the parents, who will be facing many uncertainties and challenges. Put together care packages for encouragement. Plan a block party. Host a block party for people living in a housing project. Provide food and simple outdoor games. Get to know each other. Bridge gaps. Invest in teen moms. Gather diapers, offer to babysit, or host a picnic in the park to get to know each other. Teen moms have a lot on their plates, while often feeling lonely and ostracized. Make connections so they know they can reach out to others. Schedule a weekly coffee date. Invite someone different each week to get to know more people, or focus on one or a small group. Keep the time inked on your calendar. If someone cancels, visit the coffee shop anyway. As you develop a routine, you’ll begin to connect with and invest in a variety of people. Host a dinner. Invite someone to dinner who can’t return the favor. If they insist, challenge them to pass along the hospitality. Collect gift cards. Do you know a family spending a lot of time at the hospital, dealing with daily medical treatments, or traveling out of town for a family funeral? Collect gift cards for restaurants and stores you know will be convenient for them to use. Share your quarters. Send a roll of quarters to a college student. Quarters fit perfectly in plastic M&M tubes if you want a creative way to store and send the quarters. Movie, pizza, and coffee shop gift cards are always welcome, too. Clean up the neighborhood. Pick up trash, shovel snow, or rake leaves. Gather a group of people for maximum clean up and fun, or choose a neighbor and entire block to take care of throughout the year. The people on the van were from a variety of resorts. Each of us had signed up for a day-long trip, and the van drove from one resort to another, picking us up for the day. Spending time together as we traveled was a great way to meet people. As the day neared its end and the people dwindled as we made drop-offs at different resorts, the conversation turned to comparing the resorts, our experiences of them, and sharing insights of other resorts we had visited. My husband and I have found these type of conversations helpful, because we like to try different areas and different resorts. We know people have varying priorities, so just because one person recommends a place doesn’t mean it’s a good fit for us. But we like to hear the pros and cons of many options. However, as I listened to this particular conversation, my stomach turned. I listened to the talk about the amount of lobster, quality of steak, promptness of staff, amenities, best deals, and so on, and I thought of all that I had seen throughout the day. I remembered our guide telling us the average annual income for people on the island was $6000, the same cost some people on the bus were quoting as their one-week resort rate. I looked through the darkness at the outline of our guide and van driver and was embarrassed to have them overhear the conversation. We are so rich in so many ways, yet we easily slip into comparisons and discontentment. We want more because we don’t think we have enough. The probably isn’t need; the problem is want, the desire for more, the distorted value of “enough.” I wondered how much richer our guide and van driver were than any of us on the van that night. Perhaps they had a better perspective than we did. Perhaps they were more content. I don’t know for sure, but I wonder if they believed what they had–whatever it was–was enough. I think it’s a good think to want more, but only of the right things. Too often, we turn God’s economy upside down. We have too much want for what we don’t need and don’t have enough want for what we most need. Perhaps it’s a good question to ask yourself today. 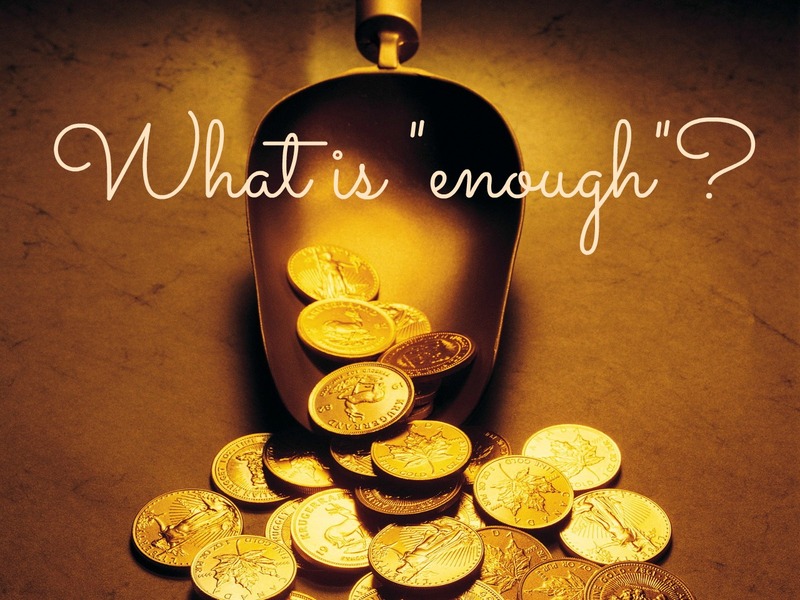 What is “enough”? Some of our baggage is burdensome. We wish we could leave it behind, shove it in a closet, perhaps even burn it. The past can be weighty. But there are times we miss baggage. When my husband and I were on vacation, we met a couple who only had one of their bags arrive with them. The other was lost. They had packed their own suitcases, so all of her clothes arrived but none of his had. (By the way, it’s always a good idea to swap one or two outfits into each other’s bags. 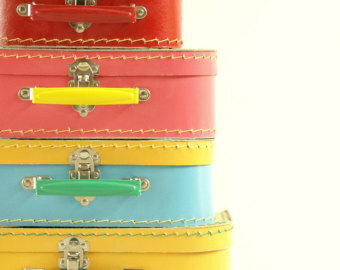 Not to mention, pack a change of clothes and basic, trial-size toiletries in the carry-on bags.) Her bag was over the allotted weight, so she had shifted all the toiletries to his bag. They had no toothpaste, shampoo, or sunscreen. They could get the basic toiletries at the front desk, and they found sunscreen in the gift shop…for $30. He also bought the overpriced swim trunks and tank, looking like the ultimate island tourist. As the week progressed, we got updates. Their friends arrived and shared some of their things. They went into town and did a bit of shopping. Then, five days into the trip, the luggage arrived. Somehow, they had to fit all the extras into their two bags to make it home without additional costs. All our baggage isn’t bad. It gives us what we need in specific situations. We don’t need to carry it all with us everywhere we go, but we’ll certainly miss it when we don’t have access to some of it some of the time. 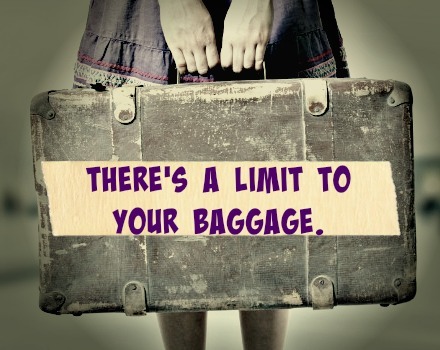 Sift through the baggage of your life. Don’t pack it all. Take what you need. Don’t burden yourself, but be prepared.